My book I Didn’t Know Mani Was a Conceptualist conflated the idea of Conceptual art and Conceptual writing, both riding on how an originary idea trumps its actual issuance, the flesh and bone and sinew and materiality of its product. The instruction to myself was simply to explore the fine line between the prose poem and flash fiction. This instruction was less prescriptive, more intuitive, and in the end, I realized I was attending to the rise and dip of each vignette’s lyric quality. The texts have been described as “impenetrable.” I prefer the phrase “unboring boring,” as Kenneth Goldsmith might understand. The book stemmed from my own research into postmodern theology years ago, which offered a healthy questioning with regard to metanarratives and truth claims. Postmodern theology was like a wondrous catchment that had a place for seeming impossibilities to those happy with dominant discourses. It could straddle the polar ends of atheism and pluralism, the ideas of negation and syncretism having undergirded much of my own writing. Perhaps, at a subconscious level, this duality of the Nothing and the Many has become a kind of instruction — an exercise of inquiry — in my work. I’m not sure if that calls into attention any conceptual top notes and base notes with regard to my way around texts. Indeed, perhaps having a “singular” Dasein from which the writing is borne is instruction enough. All my books will also speak to each other. They leave clues to each other, they make allusions to one another, in an effort to generate a dialogic oeuvre. The sonnet form has a ridiculous, unexplained salience in my books. I adore its classic stature, but like it best when it’s toyed with, as seen in Martín Espada’s “Sonnet to Jaiva Pie” and Tomaz Salamun’s “The Slovenian Sonnet,” both attending to formal strictures in such astonishing and dramatic ways. Sometimes, Conceptual writers appear in my books, simply as a gesture of taking my hat off to them. 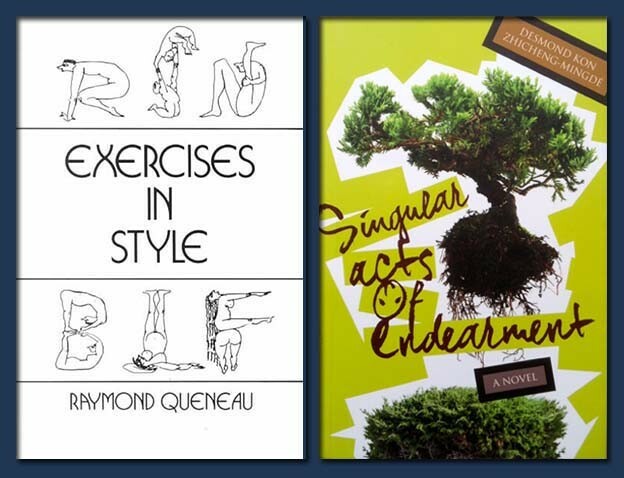 For instance, Raymond Queneau’s Exercises in Style is at the knowable/unknowable center of my novel, Singular Acts of Endearment. There’s even a chapter titled “‘S’ Bus,” which is the bus Queneau’s narrator takes in a story that goes through numerous iterations. I found the S bus charming, and related it to Gao Xingjian’s first play, Bus Stop — in the play, the bus simply passes by, over and over again, the city that represents freedom and hope for the play’s various characters. In another book, Sanctus Sanctus Dirgha Sanctus, I pay homage to the wild talent of Christian Bök, whose Eunoia remains one of my all-time favorite poetry collections. My penultimate sestina, titled “Eunoia Eye to Eye,” is an acrostic one, with “eunoia” repeated through the six sestets before the tornada. The book only houses four of what I call “monostitch sestinas,” with one line of each sestina printed on its own page, each sestina moving languidly through forty pages. In I Didn’t Know Mani Was a Conceptualist, the sonnet found its voice in the chapter, “In Memoriam to a Marionette: Caudate Sonnet of the Year Ad Interim,” with its twenty-four installments. These small tracts of sci-fi — I only noticed its genre, that I’d been working in that space, after John Wilkinson pointed it out — revolve around Resident 97, the other numbered Residents having less than an ancillary character function. The same menagerie is seen in the chapter, “When Dada Rewrote Koans” (with the archivist, Yellow Emperor, Liuling, Dada, teacher, student, curator, pilgrim, cellist, chess master, architect, graphologist), as well as “Dakini Proxemics” (with its various dakinis, these Hindu and Buddhist “sky walker” deities which morph and travel through time and space). I liked the inability for such short narrative forms — unlike the novel — to bear the weight of so many named characters. I liked that they had a presence in the storytelling, despite the clear absence of any foreshadowing or personal histories or purposefulness in the larger scheme of things. I recall the moment I fell in love with compression, the sort of extreme tropic density that can render a work unreadable, which underscores notions of Conceptual writing as a thinker’s activity, so much as to say the reading might become altogether unnecessary. That love of compression has an unlikely origin: that of reading the metaphysical poets. In an act of repetition, I asked what it’d be like to extend their idea of the conceit (never mind the difference between it and the extended metaphor) to other tropes. 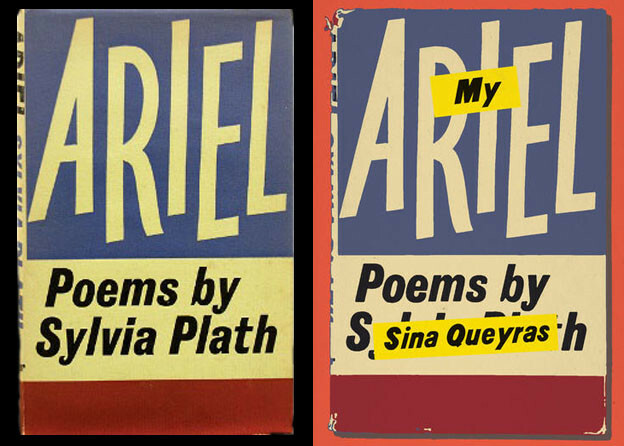 To reduce the space between tropes and words — the particularity of language — thereby creating the illusion of coherence, but through such disparate association to situate a rhizomatic spray/splaying of aporia, the absence of expected meaning and meaningful connection creating that Derridean difficulty of passage and/or passing. This plays out like a minefield against the larger vista of the book as an impasse. A deadlock between elements within the narrative that not so much cripples, but slows down the read to a kind of stasis. A kind of deep sleep.